Free online random image generator. Just press a button and a new random image will appear. There are no ads, popups or nonsense, just an awesome random image creator. Press a button, generate a random image. Created by developers for developers. If colors are empty, it uses all possible colors randomly. Bit Size Size of a random pixel. Enable color shades If enabled the selected colors will be shaded. Random image generator tool What is a random image generator? This tool generates random images. It randomly fills pixels with the colors you have specified in the Image Colors option section above. The output image size as well as random pixel size can be configured in Image Size options. You can also enable color shading which randomly darkens or lightens each color by the given percentage in Image Color Shading options. This example generates a 20x20 grid of completely random colors by keeping the Colors option empty. 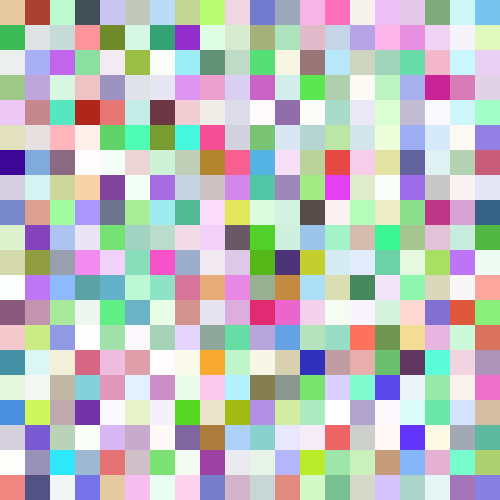 Each random color grid block is 25px in size and the whole random image is 500x500px. This example generates a random single-color image. There is only one pixel to generate and the only possible colors are red and green.  This example generates a random image with orange color shades. Each pixel color is randomly lightened or darkened by 10%, resulting in a nice palette of orange colors. Juicy!